Today, on October 11, 2018, we celebrate girls across the world on International Day of the Girl. Today, we recognize the injustice, gender inequality, higher unemployment rates, and the multitude of problems girls face around the globe. Today, we recognize the power, strength, resilience, inspiration, and intelligence girls’ posses, and we continue to push them towards the future they desire. The Maisha Project exists to empower people to change their communities. As an organization, we strive to give young girls the tools to become world-changers. 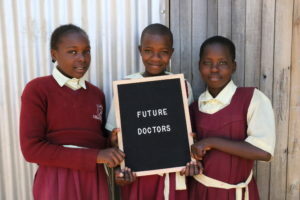 Maisha believes one of the most powerful tools to create change is education. 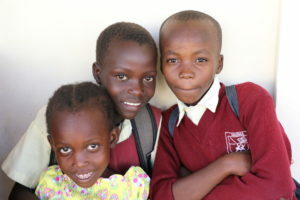 In Kenya, receiving an education is a challenge, because school is not free. Parents are required to pay fees so their child can attend school. Because the financial status of many parents is not stable, parents are forced to make difficult decisions concerning their children’s’ future. Often times, girls are unable to graduate high school, let alone, graduate elementary school. Beatrice Williamson, Maisha Project founder, said before Maisha existed, many girls in her community did not get the chance to attend school. “A long time ago, education was really a big deal to where a household has to choose, and it’s always chosen for the boys to get educated first. Girls were just the property,” she said. Instead of going to school, the girls would have to stay home, she said. Without an education, the girls would have to find a way to make an income, which is a challenge in the village. 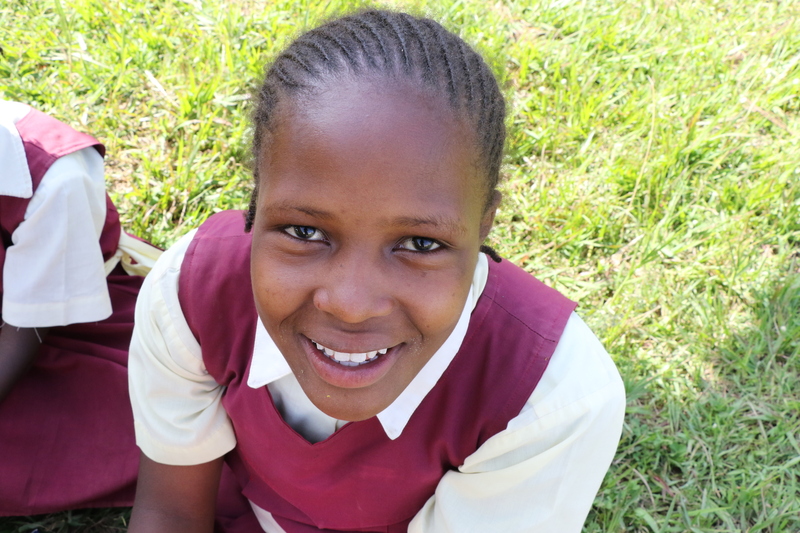 Because of Maisha, Beatrice said girls are now able to attend school and receive an education. “When you grew to the age of 12 or 13, they could start the dialogue of marriage, things like that. Those things are now history in my community,” Beatrice said. Over 400 girls are currently in the Legacy of Hope Project receiving an education. Maisha has 137 girls attending the Maisha Academy from pre-school through eighth grade. In 2017, Maisha opened the Grace House Dormitory, which now serves as a home for over 30 at-risk girls. The girls receive proper nutrition, a place to study, working bathrooms, and a bed. 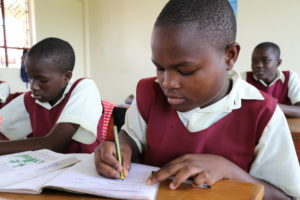 Instead of facing many dangers on their walk home from school, they have a safe haven to call their own on Maisha’s campus. Through all of these projects, Maisha hopes to change the life of one girl. One girl has the power to change her community, her nation, and the world. We are so thankful for all our donors and supporters who help us empower young girls in Kisumu, Kenya. We are also grateful for all of the girls and women who serve as mentors, mothers, friends, and role models to our girls. We could not form a generation of female leaders without you. In 2016, 82% of Maisha Project's total operating expenses were used for programs that benefit vulnerable children and communities around Kisumu, Kenya. Maisha Project is a registered 501(c)3 nonprofit organization. All donations are tax deductible in full or in part. © 2017 Maisha Project. All rights reserved. What do you hope to gain through having Beatrice speak at your event? Why do you want to volunteer for Maisha Project and in what capacity? Tell us about your history with Maisha Project and the impact this organization has made on your life. Why do you want to be an ambassador? How would being an ambassador for Maisha Project impact the organization in a positive way? What do you hope to gain from an internship with Maisha Project? What would your ideal internship include? 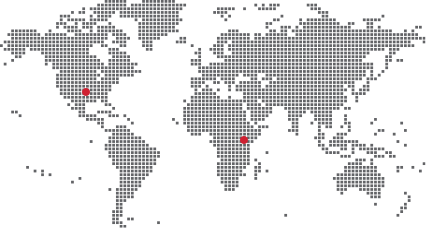 What skills do you bring that would benefit Maisha?